I’ve been on a bit of a phone case kick recently. I’ve never been big into protecting my devices as I seem to go through them so fast that they never end up picking up wear and tear. I’ve decided to slow down on new devices at this point in my life so I’m doing everything I can do protect the devices that I do have. I purchased the Samsung Galaxy S8 Plus on the day it came out from one of my local T-Mobile stores and I’ve been in search for the perfect case ever since. 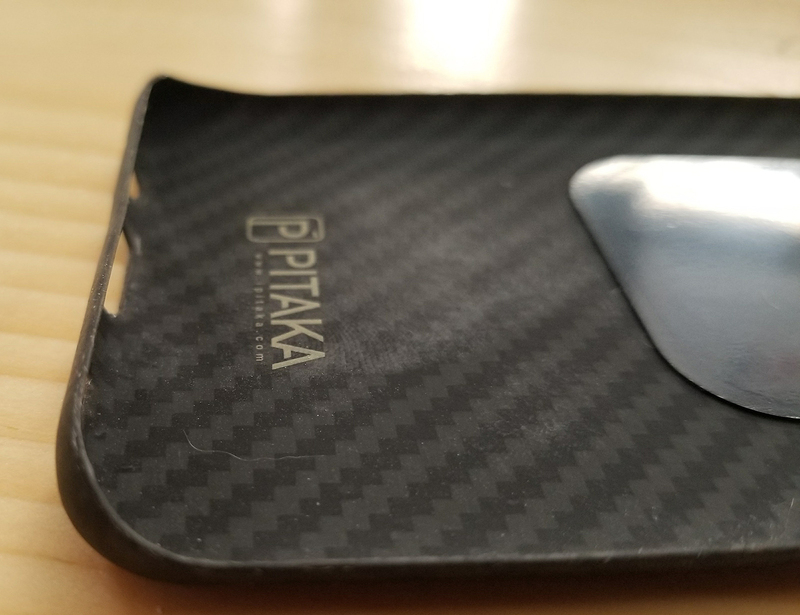 PITAKA recently contacted us and wanted us to take a look at its Aramid Phone Case for the Samsung Galaxy S8 Plus as well as its car mount. When the rep emailing me stated that it was the thinnest phone case on the market, I was intrigued. I love the industrial design of Samsung’s devices so I hate to cover it up but I thought the thinnest case on the market might do it some justice. 0.85mm thick, 18g heavy. Like it’s barely there. And I have to say, this is the thinnest case I’ve ever used on any phone. The only case that comes remotely close is the Samsung Official Clear Cover, but it still falls short. The Aramid case is made of synthetic fibers that promise high performance. PITAKA states that Aramid is used in products like aircraft, aerospace products, and in super cars due to its high strength, resistance to abrasion and heat, and that it is non-conductive. In addition to that, it doesn’t pick up fingerprints and has a low flammability rating. It doesn’t pick up most fingerprints. While that might seem like a lot of marketing mumbo jumbo, what it breaks down to is an incredibly thin, but strong case. There is some flex in the case, but it’s rather rigid. I was able to bend the case and I feel like if I really try I could flex it enough to break it, but it would be pretty tough. This thing isn’t going to crack and should last for a long time. 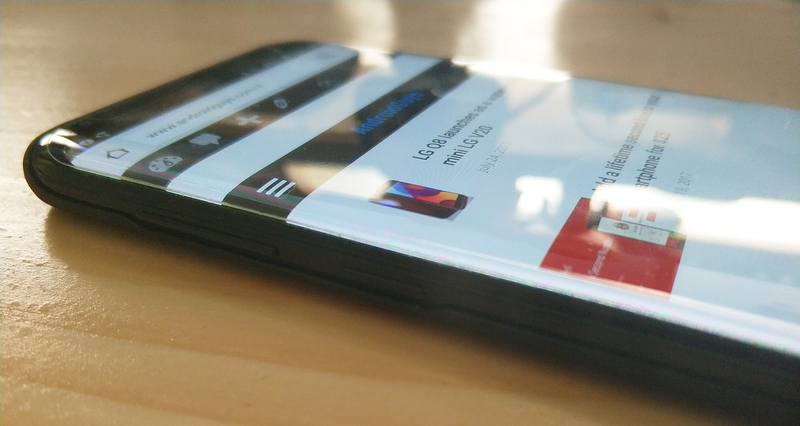 One of the biggest reasons you’d buy a case is for drop protection, but that’s a tough task with a phone designed like the Samsung Galaxy S8 Plus. This thing is all glass and curves and neither of those things tends to be durable. I don’t think this case will provide a ton of drop protection, but it is above average for how slim the case actually is. Additionally, you should be free of scratches on the back of the device with this thing on, so there’s that. The cutouts on the bottom and sides of the device do not hide or impede any of the ports or buttons that are vital to using the phone although the cutouts on the bottom can be a bit sharp which can become uncomfortable during very long sessions with the device. But honestly, I only ran into this issue once or twice in the several weeks I’ve had the case. It might be a nit-picky flaw, but it does exist. So far, I’ve tested 20 or so cases for the Samsung Galaxy S8 Plus and the PITAKA Aramid case is one of my favorites. It does have some very minor flaws, but overall I love the extra grip it gives me on an otherwise very slippery phone and just how thin it is. You wouldn’t think a case this thin would be so strong but it is. Color me impressed. PITAKA also sent over the MagMount car mount for us to check out too. This mount is a rather standard air vent mount for your car. The case automatically connects to the mount without any need for the special magnetic plate. You can save that plate for a significant other’s phone if you’d like or just order the mount by itself and skip the case. It worked decently well and I’ve never had an instance where the phone has fallen off the mount when going over bumps, but it has slid down a little bit once or twice. The head of the mount swivels 360-degrees so you can position your phone however you’d like it. It’s perfect for using Android Auto. PITAKA also makes cool wallets out of carbon fiber. You can see in the video below how they work and check out the Kickstarter for more info. We’re teaming up with PITAKA to give away two prize packs. Both packs will include a case of your choice for the Samsung Galaxy S8 or Samsung Galaxy S8 Plus and an Air Vent Mount. This giveaway is for US residents only (sorry, international readers!) and will conclude on July 31, 2017, at 11:59 PM. 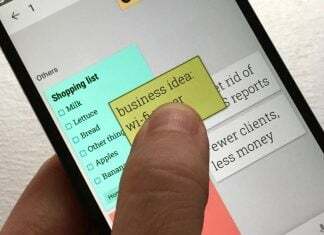 In the widget below you will have several options to enter. The only mandatory option is entering your email address and that’s so we can contact the winner. You can get additional entries by following AndroidGuys on Twitter, following PITAKA on twitter, and/or tweeting a message. You can tweet once a day for additional entries. Editor’s note: This review previously suggested that the magnetic plate that is included with the mount is required for use with the Aramid case. The post has since been updated to reflect the corrected information.